Careless prescriptions and cattle fattening antibiotics are blamed for the rise of superbugs resistant to everything in the hospital arsenal, but that’s all wrong. Antibiotics fail, because we are all abusing common medicines that also have powerful antibiotic activity. All painkillers, anti-inflammatories, statins, antidepressants, and the whole list of common pharmaceuticals are the problem. We simply use too many drugs. Common drugs should also be labeled as antibiotics, because they kill the sensitive bacteria in your gut and leave behind just the resistant bacteria. 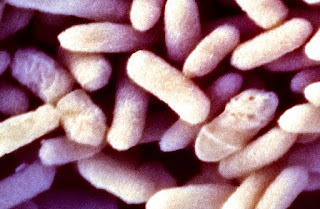 Unfortunately, the genetic mutations that make your gut bacteria resistant to drugs, also provide resistance to antibiotics needed to stop infections and that broad resistance to antibiotics can spread to pathogens that then become the dreaded superbugs. Aspirin was an antibiotic that was shown to relieve pain and inflammation. Metformin was an antibiotic that later proved useful for treatment of diabetes. Many chemotherapy drugs are antibiotics developed for cancer treatment. Diuretics were antibiotics that indirectly reduce blood pressure. Antidepressants, such as Prozac, Zoloft, etc. are antibiotics. Most pharmaceuticals are derived from phytochemicals, a.k.a antioxidants, adapted in plants to kill microorganisms, i.e. as natural antibiotics. It is not surprising that drugs = antibiotics. What is surprising is that people assume that if antibiotics are labeled with some other activity, that they cease to be antibiotics. All drugs are also antibiotics and that is why a major side effect of most medicines is upset gut bacteria. Simply put, common medicines you swallow, kill bacteria in your bowels. Some bacteria survive and are called “drug resistant.” Bacteria accumulate resistances to several different kinds of drugs and are called “multidrug resistant.” As might be expected, hospitals are the breeding grounds for multidrug resistant, mutant bacteria of all different types. Unfortunately, anyone who takes several types of medications is also a source for multidrug resistant bacteria, so nursing homes are the most frequent sources of superbugs that cause outbreaks of hospital infections. The bottom line is that even if doctors start to use antibiotics more rationally and antibiotic use in agriculture is eliminated, superbugs will still be a big problem, because they will be produced by excessive use of common drugs, i.e. those found on the shelves of drug stores and supermarkets, as well as prescribed by doctors. The only solution to the superbug problem is to reduce pharmaceutical use by 99%.